The South Pacific is no doubt one of the most beautiful regions of the world to go on vacation…If you’re into diving, wildlife viewing, hiking and relaxing by the beach you’ll definitely enjoy a vacation in the South Pacific! Aside from the popular tourist destinations of Sydney and Melbourne, you can also choose from tranquil and less touristy locales such Aitutaki and Ha’apai, which are home to deserted white sandy beaches. Overall, Samoa and Tonga are great destinations if you’re looking to experience the “real” South Pacific and get away from mass tourism, while still being able to enjoy touristy activities such as swimming with Humpback whales. If you're planning a trip for the first time, the following list of top travel destinations in the South Pacific should give you a good idea of what to expect in the region. Hope you enjoy it! The Rotorua district is one of the nicest and sunniest places you can stay in New Zealand's North Island and the district is only a short drive from the beautiful waters of Bay Of Plenty. As far as New Zealand holidays is concerned, Rotorua is a fantastic vacation spot for anyone looking to enjoy a mini-adventure while staying within the tourist trail. Top things to do in Rotorua district include seeing the geothermal activity at Waimangu Volcanic Valley, riding up Mt. Ngongotaha, experiencing Maori culture at the Tamaki village, learning about early settlers at Rotorua Museum and seeing New Zealand’s native wildlife at Rainbow Springs Park. Efate is one of the larger islands of the Vanuatu archipelago and it’s one of the top travel destinations in the South Pacific for sure! The name Efate may not sound familiar but it was the film location for the popular reality TV series “Survivor”. Efate is a fantastic spot to enjoy fun tourist attractions and activities such as zip-lining, climbing up Mele Cascade falls, viewing the famous sculptured Summit Gardens, learning indigenous customs at Ekasup village, touring Tanna Coffee factory and snorkeling at the Hideaway Island reserve. The South Pacific is renowned for its many great beaches and the nature reserve beaches in Tumon are some of the finest in the region. 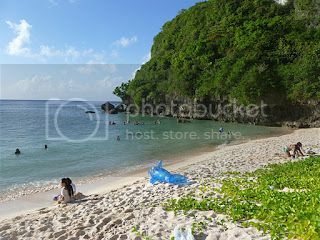 Tumon's beaches are calm, in superb condition, easily accessible, and offer nice opportunities for water sports at Ypao Beach Park and Two Lovers Point. Besides swimming and snorkeling, you can visit the local aquarium (Underwater World), water park (Tarza Adventure Zone) and the theme park (Sling Shot Ride). The Island of Tasmania is, without question, one of the top travel destinations in the South Pacific and there’s no better place to visit in Tasmania than Hobart. The city of Hobart may be one of the smallest cities in Australia but its vibe is unlike anything you'll experience in the mainland. 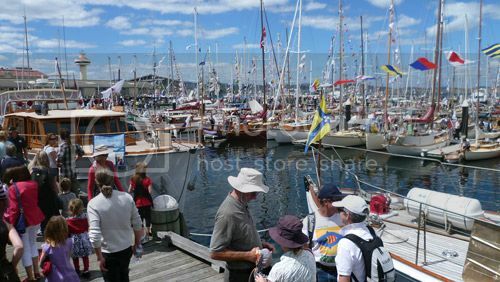 Hobart boasts a lovely quaint vibe, stunning scenery and rich history as well as nice opportunities for wilderness bushwalking walking and tourist attractions such as historic sites, art galleries, etc. You should definitely allow 2-3 days in Hobart if you want to see the main attractions there which include Bonorong Park (fantastic sanctuary for native wildlife), Mount Wellington (offers stunning views over Hobart), Battery Point (home to the oldest buildings in Hobart), Royal Tasmanian gardens (best botanical garden in Australia), MoNa (it’s like no other art gallery you’ll ever visit) and Salamanca’s Saturday market (best shopping spot in Hobart). Rarotonga is a popular destination for wedding receptions in the Cool Islands but it’s also one of the best South Pacific islands to travel for a fun vacation. You can do a ton of cool land and water pursuits in Rarotonga such as horseback riding, swimming in Muri Lagoon and climbing “The Needle” mountain, as well as booking snorkeling and deep sea fishing tours. 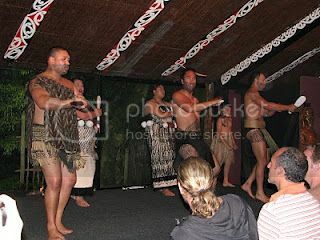 However, the most exciting thing about traveling to “Raro” have to be visiting Te Vara Nui village, which is an indigenous cultural center where you can see cool performances and live demonstrations. The beautiful Society Islands are certainly the most stunning honeymoon destinations in the world. There are nine of these gorgeous islands in total and each of them is the quintessential exotic island. 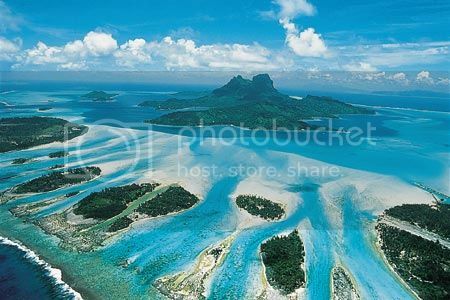 Bora Bora is probably the most popular spot because of the famous bungalows over the ocean, though Tahiti’s beautiful black sand beaches and Moorea’s luscious jungles are also top contenders. No matter where you stay in the Society Islands, you’ll be able to hop the islands on ferry, boat, helicopter ride or on a Star Clipper cruise. When visiting the islands, be sure not to miss seeing the lagoonnariums in Bora Bora and Moorea islands, as well as Belvedere Lookout and the Motu pearl farm in Tahaa (they sell beautiful black pearls!). If you’re looking for a relaxing beach holiday along the Gold Coast of Australia, Port Douglas is probably one of the nicest places to stay on Queensland's west coast. 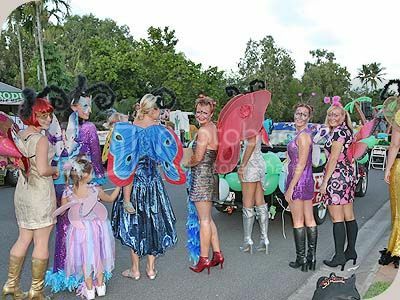 Port Douglas is a great place to visit especially during the town’s annual Carnivale (May) and Porttoberfest (it is a cool beer festival held in October). However, the best thing about staying in Port Douglas is being a short drive from Cairns and having easy access to the Great Barrier Reef (GBR) and other beautiful places such as Four Mile Beach and the Wildlife Habitat (where you can watch koalas). Viti Levu is not only Fiji's main tourist hub but it's also one of the top travel destinations in the South Pacific for families with kids. Viti Levu offers a ton of opportunities for young and old to do such as enjoying a spa massage at Bula Massage clinic, zip line along Pacific Harbour, reef diving, golfing, jet-boating safaris and kayaking along Sigatoka River. You can also visit interesting places such as Navatu Rock (Fiji’s oldest settlements), take a scenic drive along the Coral Coast and enjoy a day boat trip from Port Denarau Marina (Denarau Island) to nearby Malolo Island.